Linux Mint is a free community-driven Linux distribution - based on Debian and Ubuntu OS. It designed for use on desktop computers to work on most modern systems, including typical x86 and x64 PCs. The purpose of Linux Mint is to provide a desktop operating system that home users and companies can use at no cost. Its goal is to produce the ideal desktop: comfortable, elegant and easy to use but also powerful and configurable. Linux Mint can be thought of as filling the same role as Microsoft's Windows, Apple's Mac OS, and the free BSD OS. Linux Mint is also designed to work in conjunction with other operating systems, and can automatically set up a “dual boot” or “multi-boot” environment (where the user is prompted as to which operating system to start at each boot-up) during its installation. Linux Mint project was conceived by Clement Lefebvre and is being actively developed by the Linux Mint Team and community. Linux Mint is free of charge, thanks to donations and adverts on their website. 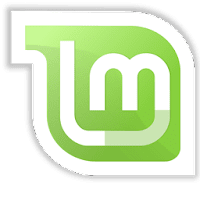 Disclaimer: Direct downloads for the lastest version of Linux Mint 18.2 'Sonya' are provided by the official software's author, we can't guarantee safety, availability or download speed. Moreover, we don't and we won't provide any pirated/illegal versions or tools. We recommend you to avoid it as these methods can harm your device. If you like the software, buy it to support the developers. (We provide software discounts for many worldwide brands).